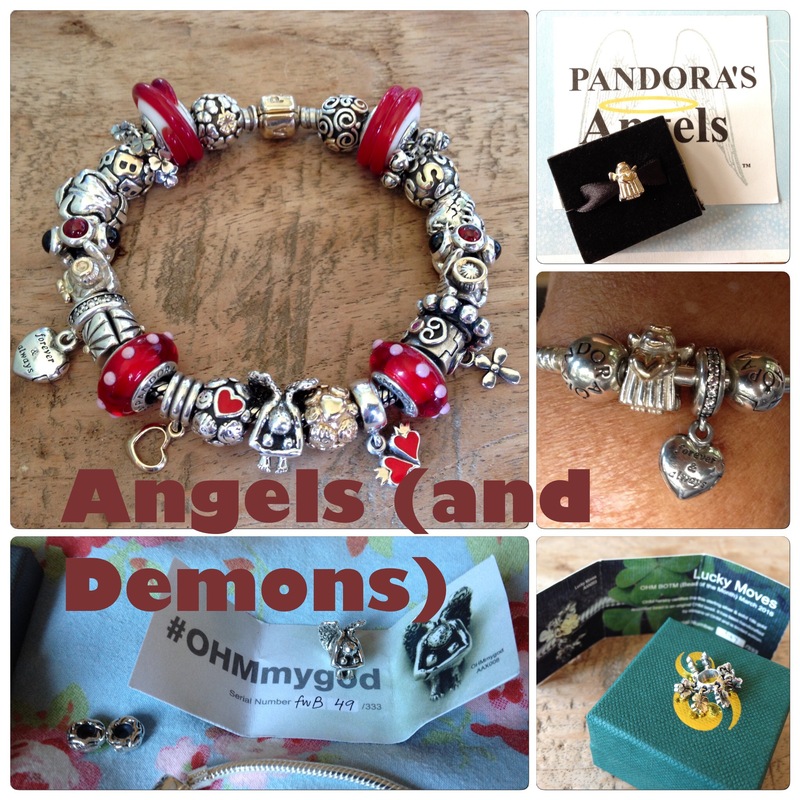 Today I want to share my most meaningful bracelet, my angels and family bracelet. 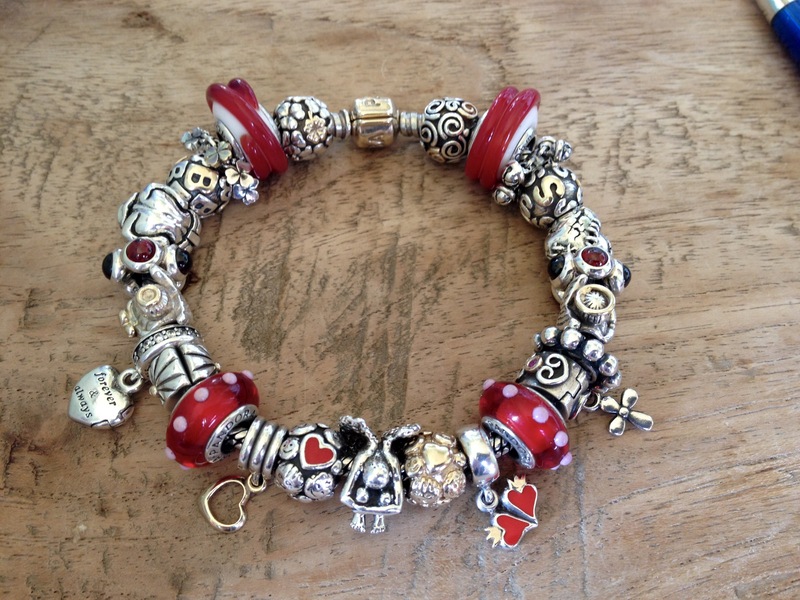 It is a bracelet with Pandora, Ohmbeads and one Trollbeads. The Pandora two tone letters are my husband and son and I am so very lucky to have them in my life! Hence the clovers! 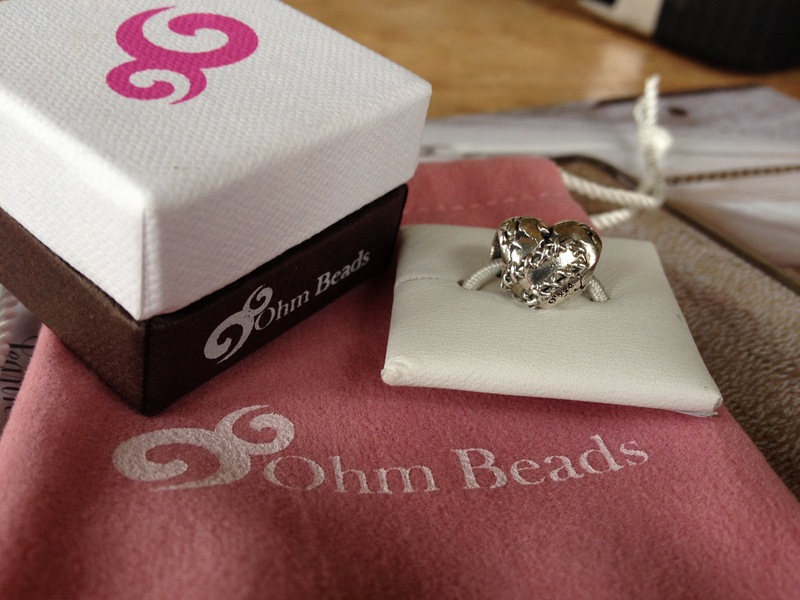 Ohm beads Love Hurts is all about my second husband putting the big patches on my heart after my first husband died. 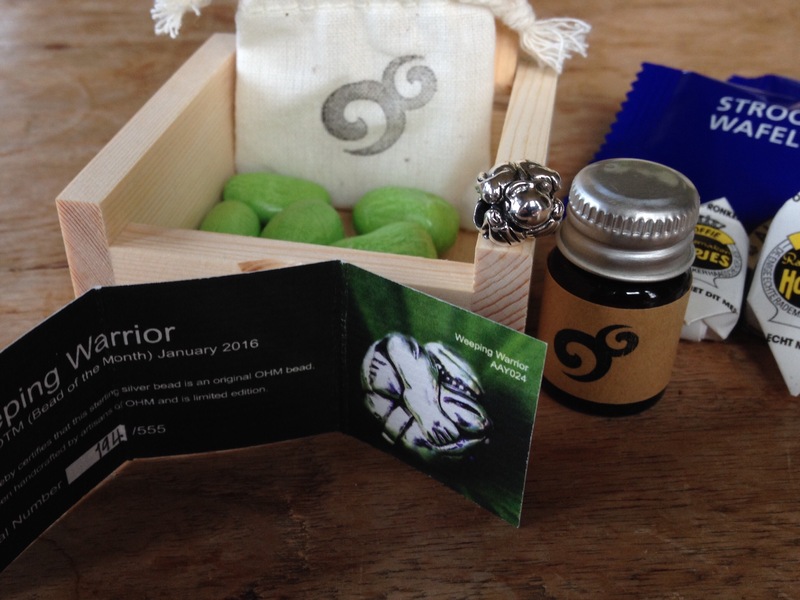 Added the Ohm beads Weeping Warrior, bead of the month january 2016. The story that he takes your sorrow away when you stroke his back is so appropriate for this bracelet! I really do strike his back from time to time! 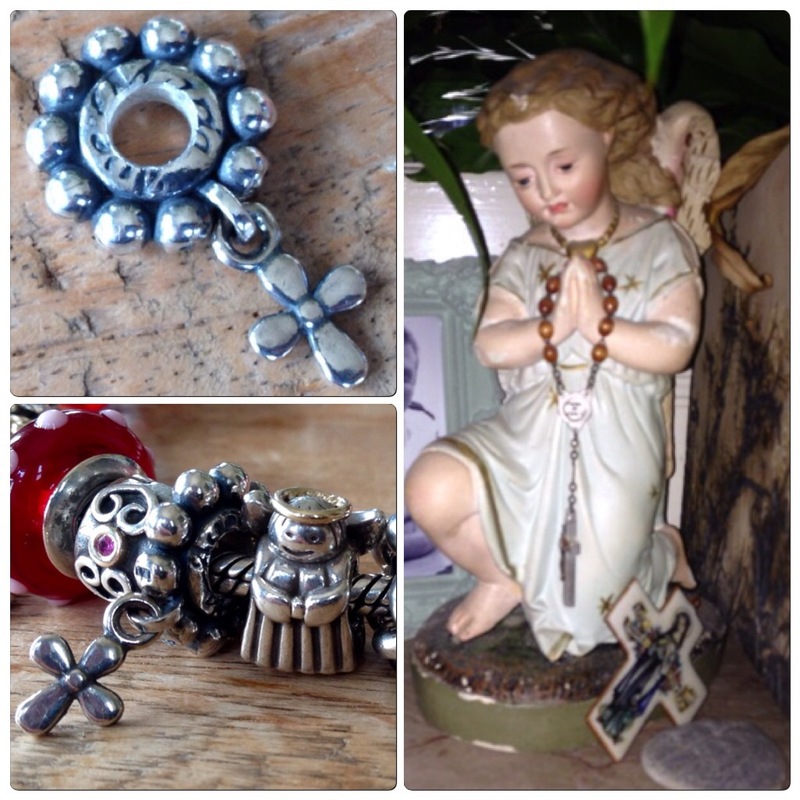 The two tone customized Pandora angel with the Trollbeads Rosary reflects the angel on my mantle, she is my guardian. The Rosary was made a bit bigger to fit the Pandora bracelet! It says Ave Maria in the center. 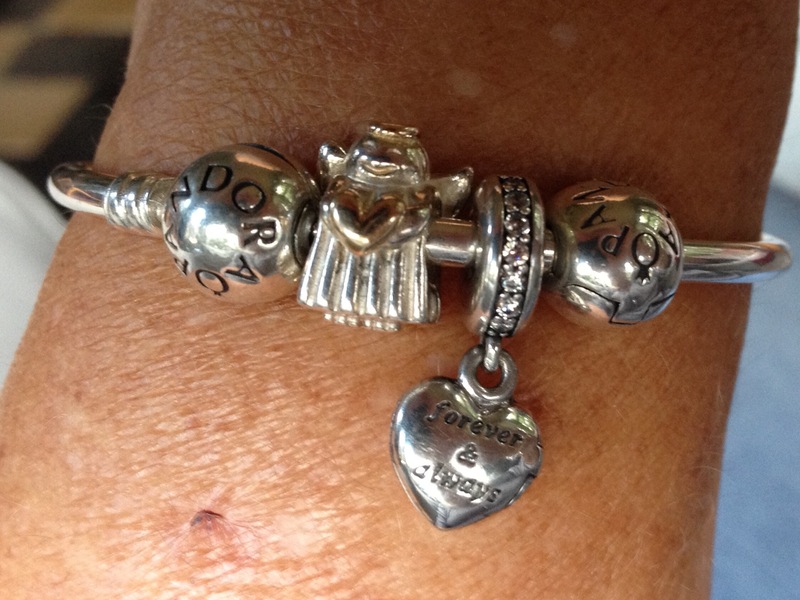 Coming around to the other two tone Pandora angel and Pandora heart dangle. These two are so very special. 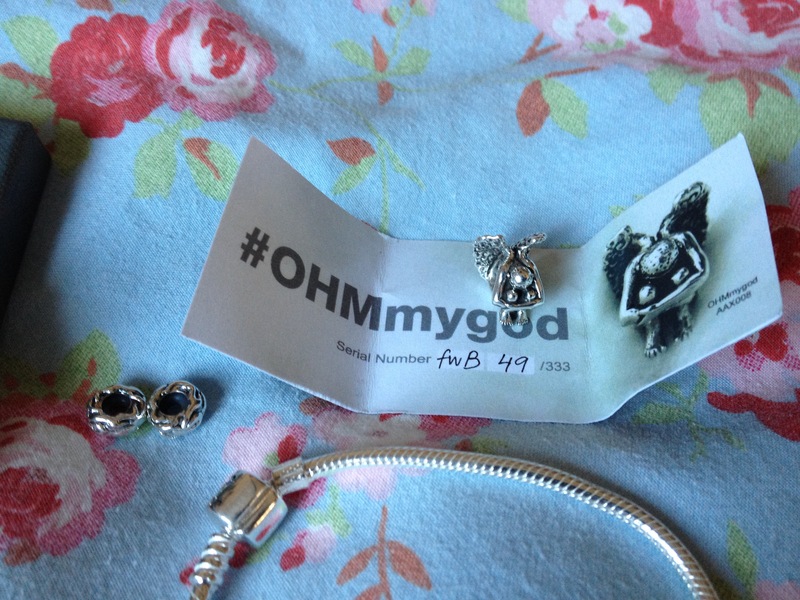 The Pandora heart contains some of my brother’s ashes, he died a year ago. 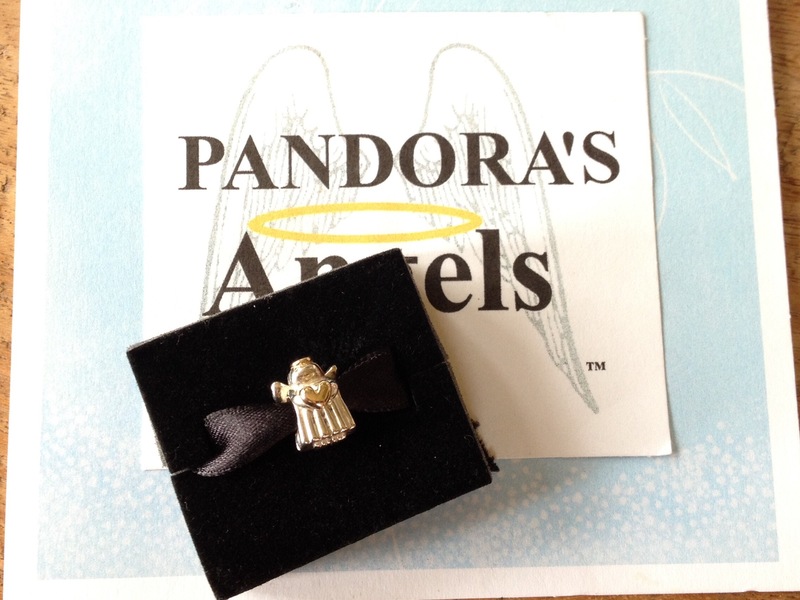 I received the angel as a gift from an amazing group of ladies from the Pandora’s Angels Facebook page when they learned about this. I am still so grateful for such a token of love! The bead in the center is the beautiful Ohm beads Ohm My God, a special bead made for Grate Lakes Boutique. I wanted this bead because it showed how I felt in those hard times after my brother died. The beads are numbered and come with a certificate and to my amazement the number of this bead was 49, my brother’s age when he died. 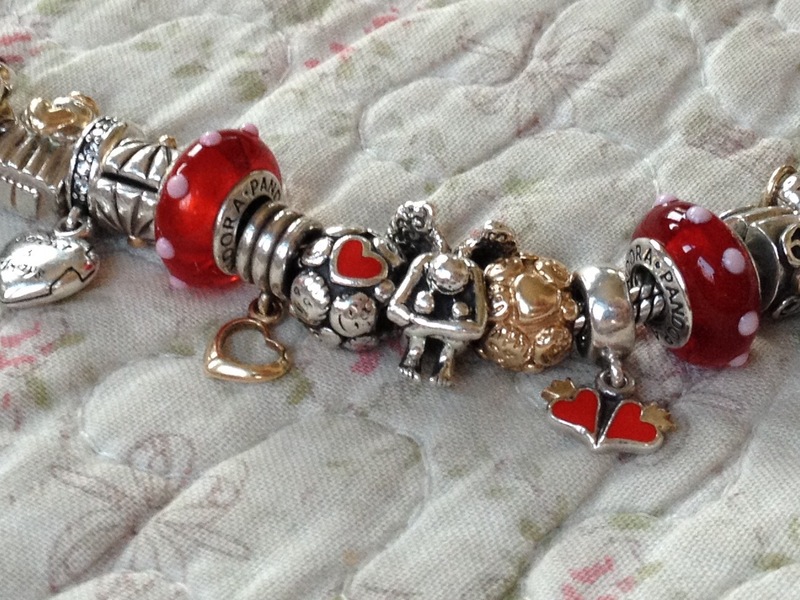 With two Pandora Family Ties and Pandora heart dangles (Christ charm and Royal wedding) the theme is complete. The glass beads are Pandora red Seeing Spots and Ohm beads Cherry Sauce. I wear this bracelet when I have family gatherings and on special holidays. I love how I can express my emotions and feelings through beautifully made beads! And I can keep this close to my heart every day! Thank you so much! I love that bead also are emotions!